Developed by Valve Corporation. Dota 2 is an online multiplayer war strategy video game that also served as the stand-alone the sequel to the highly popular and commercially successful Warcarft 3 Defense of the Ancients (DotA) modification. It was released in July 9, 2013 first on the Windows platform and about a week later, on the Mac OS X and Linux machines. The DOTA game franchise has been one of the most frequently played Valve games on its online Steam platform with daily concurrent gameplays reaching more than half a million. Veteran gamers of Warcraft would be most at home playing Dota 2 designed essentially to capture into its core source engine the game features of its predecessor, Warcraft III: Reign of Chaos and the expansion pack Frozen Throne. There are several gaming websites that offer both a minimum system and a recommended one. We really don’t see much point in mentioning a minimum system specification since in our experience, while they can run the game, the player may encounter frustrating moments when the hardware reaches some saturation point when it runs out of steam and the game starts stuttering, freezes or reboots. Hardware and OS are everything for a PC game and it is always best to use only 60%-70% of hardware capacity for optimum performance. It is not uncommon that you could experience glitches once the hardware is taxed performing at 90% or maximum CPU/GPU utilization and full video RAM consumption. And because we believe that gaming on a laptop is supposed to entertain, thrill and delight as long as the power it provides lasts, we stick only to a recommended hardware setup that we have seen deliver a rewarding gaming experience, not interminable frustrations later as you move up to more complex gaming levels. 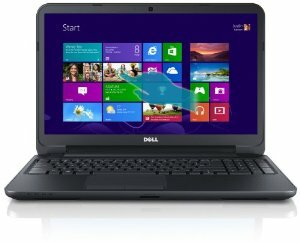 So while it is possible to find a laptop that can play Dota2 with lower hardware specs than presented in Table 1, we prefer to err on the side of plenty and recommend only the laptops than offer a more reliable gaming experience with CPU/GPU and RAM headroom to spare, especially when you consider that most of the gaming laptops released over the last 12-18 months hardly get specified with the bare minimum of an Intel Core 2 Duo or an older AMD Athlon, nor do they come bundled with Windows XP or Vista which are the bare minimum for playing the game. The question that comes to mind is if full HD at 1980 x 1080 and a having as large a screen size are necessary to play a game. The simple answer is no. It may be a revelation to many novice gamers to note that even professional gamers who play in championship events often play at the medium possible screen resolution, just enough to display the details they need to shoot down the enemy with the precision recognized by the game, and not be distracted with unnecessary details in a highly realistic image that games today can easily render on most hardware. . The reason is that these screen displays don’t tax the computing resources as much as when playing at higher resolution. That means you can squeeze out more responsiveness from the game processing at a given CPU/GPU combination. In addition, some professional gamers even prefer to use the older displays with 4:3 aspect ratios, even preferring CRTs with naturally faster screen response times than LCD. Graphics displayed on a narrower 4:3 screen allows the eyes to focus more on the action without unnecessary movement and not have to move left to right on a wider 16:9 or 16:10 widescreen using larger than 17” monitors. This should not be a problem with laptops which range from 11inches to 17 inches in diagonal screen sizes now commonly using widescreen 16:9 aspects. With laptops manufactured over the last 2 years, it is safe to say that even the low end 3rd generation processors from Intel and AMD have no problem handling even the most sophisticated RPG and FSP games. And with online gaming, a good part of the processing is done on powerful remote game servers. The more important hardware feature in gaming laptops is the graphics engine. They are the ones rendering the compute-intensive vector graphics on the screen. Needless to say, the more powerful your GPU is, the faster the screens are rendered with faster responsiveness to match quick reflexes when scoring in your game. In general, we recommend laptops powered by the Class 3-Category Intel HD Graphics 4000 as the bare minimum for it to quality as a gaming laptop for casual gamers even with sophisticated RPG and FSP which you can play at low to medium game settings on the default HD resolution. Having said that, playing Dota2 is not a problem even for a few less muscled graphic cards down the line. Unlike most games with 4 levels of game detail settings, Dota2 only has three – Low, Medium and High. For laptops using Class 1 and Class 2 graphics engines, you should have no problem paying the game at the highest game setting. Laptops using these GPUs are expensive and fall above the $1,000 price point. Class 3 graphics cards at the top of the category and used in mid- priced laptops also do a good job. Table 2 gives a snapshot of the graphics cards currently available that can do the job. Take note of cards below the Intel HD Graphics 4000. Our minimum Class 3 Category graphics engine which is the Intel HD Graphics 4000 can play Dota 2 at low game setting with 64fps and medium game setting at 37fps using a medium HD screen resolution of 1600 x 900. High game settings will be not work at all as our benchmark shows severe stuttering and frame jumps at 14fps at High game setting. Setting the screen to a lower resolution may render the game playable at high gaming setting but face stuttering and skipped framed in our test laptops. Table 2 shows that most graphics cards used in laptops would have no problem playing Dota2 and this gaming muscle extends well into Class 4 Category but at a low game detail setting. GPUs lower than the Intel HD Graphics integrated into the older Sandy Bridge multi core CPUs will not play the game at all. But even so, to play it safe and put in enough gaming headroom for future extensions and enhancements to the game within the next 18 months at least, we’d recommend laptops using more powerful graphics engines than these GPUs for playing Dota2 and accommodating future downloadable content over the next 12 months. 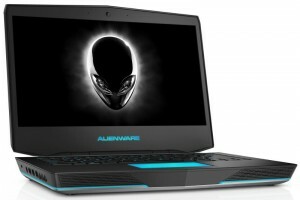 At just $1,099.00 list price (as of December 2013), this Alienware can be considered a steal for its reputation as among the most preferred brands for serious gamers designed primarily by Dell as a gaming laptop to distinguish it from its more domestic and corporate models. 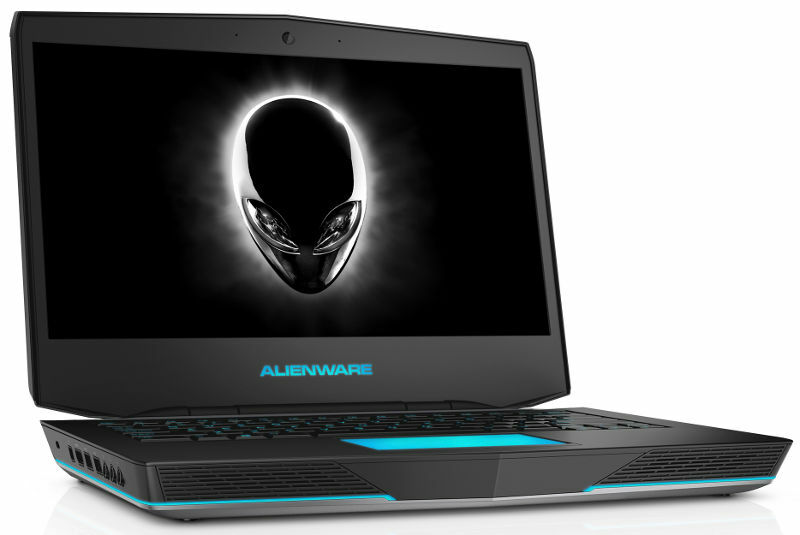 Powered by a 4th generation midrange Haswell dual core Intel Core i5-4200M with 3MB Cache, 8GB DDR3 system RAM upgradable to 16GB on 2 DIMM slots, and clocked up to 3.1GHz with Turbo Boost , this Alienware sports a 14-inch screen with low HD resolution (1366 x 768). What gives it high gaming abilities is the Class 2 NVidia GeForce GT 750M with a dedicated 1GB video RAM. It won’t play Company of Heroes 2 well even at low game settings, but it can do a good job on all sophisticated compute-intensive RPG and FSP games released over the last 3 years at medium to high game setting, including DOTA2 which can play at 33fps at its highest game setting at the default resolution. Data storage is served with a 750GB SATA drive running at a fast 7200 rpm, an 8x dual layer super-multi optical drive, a media card reader and the usual slew of wired and wireless data connectivity options such as Bluetooth and USB 3. 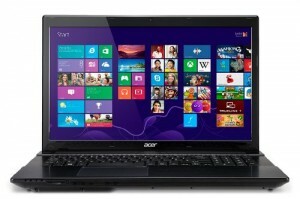 It comes bundled with a 64-bit Windows 7 Home Premium edition OS. This brand is not exactly known for its gaming prowess, but we are delighted to see this Acer Aspire V3-772G configured as one that delivers. Easily one of the best value gaming laptop even for serious gamers. For starters it is powered by a 4th generation Haswell quad core i7-4702MQ clocked at 2.2GHz with its own 6MB Cache and supported by a 8GB DDR3L SDRAM. Its integrated Intel HD Graphics 4600 is powerful enough to play DOTA 2 at medium game setting, but it goes much better with the NVidia GeForce GTX 760M with its own 2GB video RAM. This is a Class 1 Category graphics card that will play all the sophisticated RPG and FSP games recently released at high settings, with the exception of the very demanding Company of Heroes 2 which plays smoothly at low game setting while being borderline at 29fps on medium. Dota2 will play superbly at 44fps at the highest game setting on its default high HD resolution of 1920 x 1080 over a widescreen real estate of 17.3 inches. It comes with a 750GB SATA drive running at 5400 rpm, an 8x double layer DVD optical drive, HD webcam, a media card readers, stereo speakers and the usual data connectivity features such as WiFi 802.11b/g/n, a couple of USB 2.0 and USB30 ports. All these comes at price – a hefty but still luggable 7.5lb body. 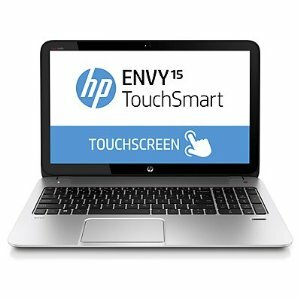 With a price slash from its $1,033 list price to just $699.99, This HP Envy is powered by a 4th generation i5-4200M clocked at 2.5GHz (up to 3.1 GHz with Turbo Boost) and supported by a 6GB DDR3 DIMM system RAM. Its 15.6-inch LED-backlit display offers a low HD resolution of 1366 x 768 driven by a Class 3 category Intel HD Graphics 4600 for Haswell CPUs (using up to 1.8 GB video RAM from the system RAM). This graphics engine is around 25%-30% more capable than our minimum recommended HD Graphics 4000, making this HP Envy a reasonably muscled gaming laptop at this price point. Like most laptops using GPUs below Class 2 category, it won’t play Dota2 at high game settings but is more than adequate to play at medium settings delivering around 50+ fps and 80+ at the lowest game settings. Data storage is well-served with a generous 1TB SATA drive running at 5400 rpm and a media card reader. But because it does not have an optical drive, it weighs a comfortable 4.8 lbs. You get the usual wired and wireless data connectivity options such as WiFi 802.11b/g/n, four USB 3.0 ports, and one HDMI port. 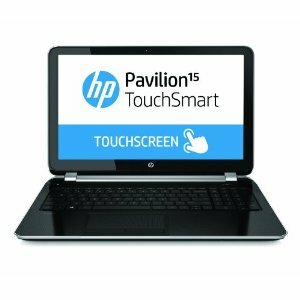 This HP Pavilion sits right at the $500 price point (as of december 2013) thanks to what many consider to be a poor man’s quad core CPU – the AMD A6-5200 clocked at 2GHz (no turbo ability) and supported by a 4GB DDR3L SDRAM. What qualifies this as a gaming laptop for casual gamers and with who play mostly Dota2 is its Class 3 category AMD Radeon HD 8400 which can rival our minimum Intel HD Graphics 4000 for gaming power. This modest gaming laptop uses a 15.6 inch screen with a default low HD resolution (1366 x 768) that is also a touchscreen on the side. Gamers may not need this feature, but it can be welcome feature when using other apps on the road. It comes with a relatively generous 750GB SATA drive running at 5400 rpm, a media card readers, WiFi 802.11b/g/n, a single USB 2.0 and a couple of USB 3 ports. Without an optical drive, its less than 1-inch thick slim body weighs just 5.6lbs. Apart from Windows 8 OS bundled with the purchase, you also get a free 25GB lifetime cloud storage service, an offer valid until the end of 2014. This Dell Inspiron is powered by a 3rd generation dual core Intel i3-3227U clocked at 1.9GHz with 3MB Cache and supported by a 4GB DDR3 system RAM on a single DIMM slot. Several online stores are selling it at a lower $459. Its 15.6-inch LED backlit screen sports a low HD resolution of 1366 x 768 modestly driven by the integrated Intel HD Graphics 4000, muscled enough to play many of the sophisticated RPG and FSP games at low to medium game resolution. That includes the Dota2. It’s a touchscreen beside and comes with a standard 500GB SATA drive running at 5400, on 8x dual layer CD/DVD burner, a media card reader (8 types) and the usual wired and wireless data connectivity ports that include Bluetooth and USB 3.0. Playing music and movies is served with a respective sounding pair of stereo speakers driven by its pre-installed Waves Maxx Audio 4.0 sound system. All these hardware features are housed in a slim 1-inch body weighing just 5lbs. Windows 8 OS is preloaded with it, along with several apps in trial configuration.